Lookin' to get noticed? 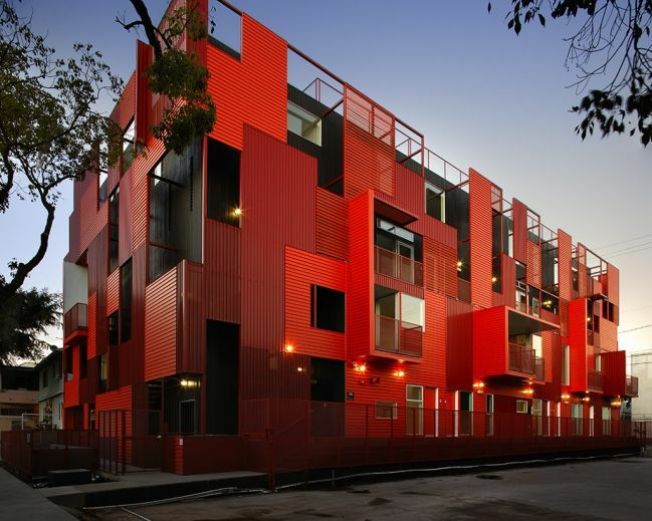 Friends won't have any trouble finding your new place if it's 1140 Formosa Ave. The bold new 11-unit Lorcan O' Herlihy condos in WeHo are just as fab inside. Inside, the units are bright and spacious with blond wood floors, high ceilings and plenty of light. According to Curbed LA, that $100,000 discount brings the price tag to $698,000 for a two-bedroom, nearly 1,500-square-foot space. We'd love to get in good with the agents to find out who'll shell out such big bucks for a condo in this market. But what a condo it is. Plus, there's a park in the works next door. We're furiously working our calculators after taking another look at that exterior. Talk about making a statement.